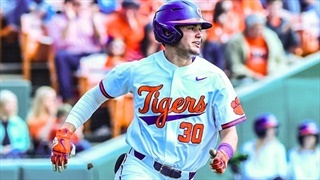 From Balk-off to Walk-off Clemson sweeps North Carolina in three game series at Doug Kingsmore Stadium. No. 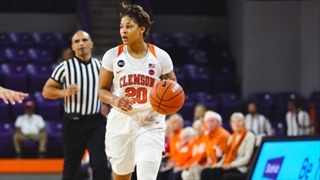 20 Clemson scored multiple runs in each of the first five innings and totaled 20 hits in its 17-3 victory over No. 3 North Carolina in the second game of a doubleheader at Doug Kingsmore on Saturday. Pinch-runner Elijah Henderson scored on a balk with one out in the ninth inning to complete No. 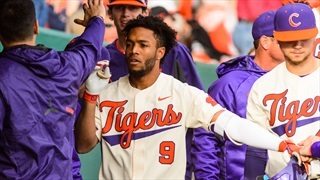 20 Clemson's two-run frame and come-from-behind 3-2 victory over No. 3 North Carolina in the first game of a doubleheader at Doug Kingsmore Stadium on Saturday afternoon. 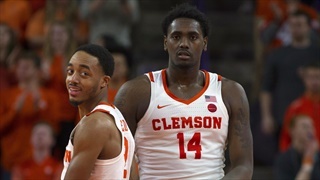 We’ve got more from Clemson’s long-awaited victory over North Carolina last night. 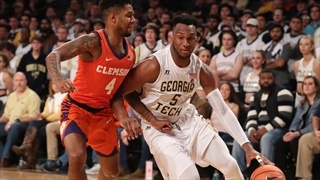 Here are our three takeaways from last night’s win. 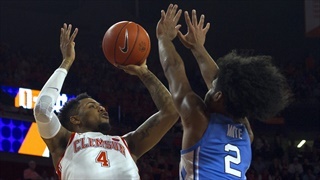 Clemson caught fire from beyond the arc against North Carolina Tuesday night. No. 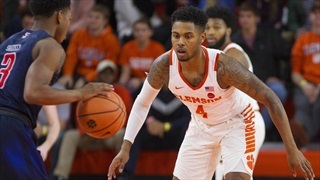 20 Clemson willed its way to an 82-78 victory over No. 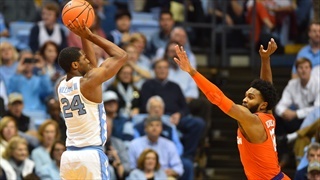 19 North Carolina to remain unbeaten at home and continue its remarkable season moving to 18-4 and 7-3 in Atlantic Coast Conference play. 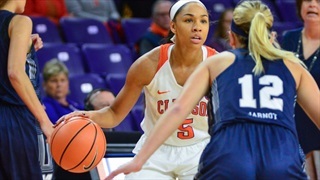 Clemson will face North Carolina tonight at 7:00 in Littlejohn Coliseum. 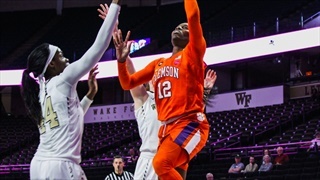 The Tigers fell to the Tar Heels 87-79 to remain winless at Chapel Hill. 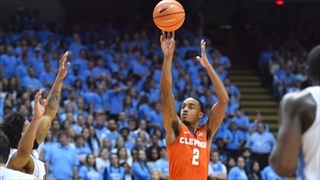 Getting to 58-0 at home is incredible, but the Tar Heels haven’t gotten there without a few Harry Houdini escapes. 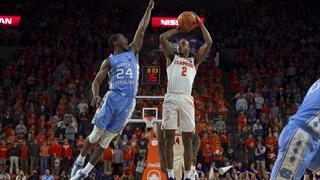 It will be a matchup of top 20 teams in the Dean Dome tomorrow night. 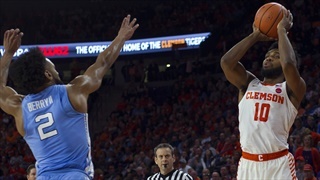 With the loss, the Tigers fall to 10-7 (0-4 ACC), while the Tar Heels improve to 12-5 (2-2 ACC) with the win.